As part of the plan to reduce its environmental footprint, the Philadelphia Zoo set out to cut down on water usage at Bird Lake, a man-made feature of approximately 1.5 acres located in the center of the Zoo. PS&S was engaged to design a water conservation system that would reduce the amount of water necessary to maintain the lake while adding to the visual appeal of the Zoo’s landscape and providing a habitat for freshwater wetlands animals and vegetation. 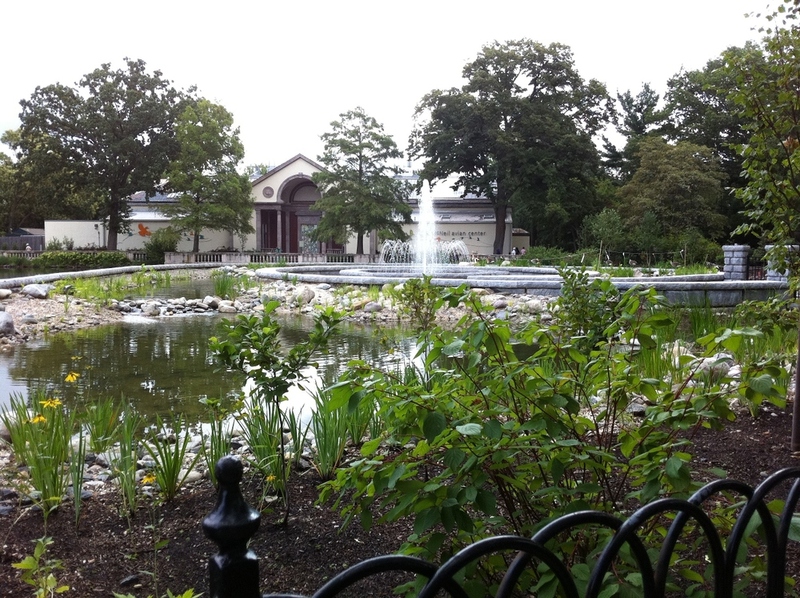 A primary concern of the Zoo was the need to reduce the amount of city potable water, approximately 400,000 gallons per day that was being used to feed the lake with clean water and to reduce the impact of discharging into the aged Philadelphia combined sewer system. PS&S’s innovative design of a bio-filtration wetland and water recirculation system provides water conservation, significantly reducing the amount of city water needed. The design recycles the lake water through man-made freshwater wetlands for filtration and biologic treatment. The centerpiece of the project is the fountain that aerates the lake water. The design provides the Zoo with a landscaping and natural water feature amenity that will be used to demonstrate a natural wetlands environment. The components of the system consist of a created wetland, fountain, pump station, UV disinfection system, cast-stone concrete walls, and walkway. The lake water is pumped to the created wetlands and cascades over a series of weirs and river cobbles which create pools of water that are planted with wetland species plants. The plants filter the lake water. The filtered water is then returned back into the lake. A walkway, which will be open to Zoo visitors, winds through the wetlands. A fountain is also provided in the center which creates an aesthetically pleasing water feature and Zoo exhibit. The design of the retaining walls, walkways, and fountains complements the Victorian architecture of our nation’s oldest zoo. As part of the project, PS&S prepared conceptual plans for the construction of and advanced ecologically engineering wastewater treatment system to treat the grey water, generated within the zoo. This treatment system utilizes emerging wastewater treatment technology that utilizes a series of tanks that contain plants and microorganisms and small animals, such as snails. The plants and animals filter the water and remove organic material from the grey water. The conceptual plan also included the construction of a fabric structure to house the treatment system. The environment created inside the fabric structure would be ideal for the Zoo's butterfly exhibit. PS&S’s design won recognition from Water Quality Products Magazine as one of 2011’s top ten water quality projects and was highlighted in the November 2011 issue of Landscape Architect Magazine and received the Pennsylvania Governor's Award for Environmental Excellence in 2012.